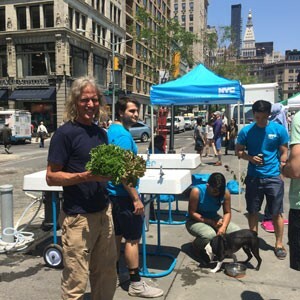 New York City’s water is kept safe and clean by an innovative cooperative agreement with farmers that benefits both the city and rural communities. The programme demonstrates that water utilities can go beyond applying traditional engineering solutions and pioneer innovative governance, management and financial arrangements with upstream farming communities. At the heart of how New York City’s public water supplier has preserved a pristine water supply to its nine million customers – described as ‘the champagne of public water’ by its fans – is a story of urban–rural collaboration. 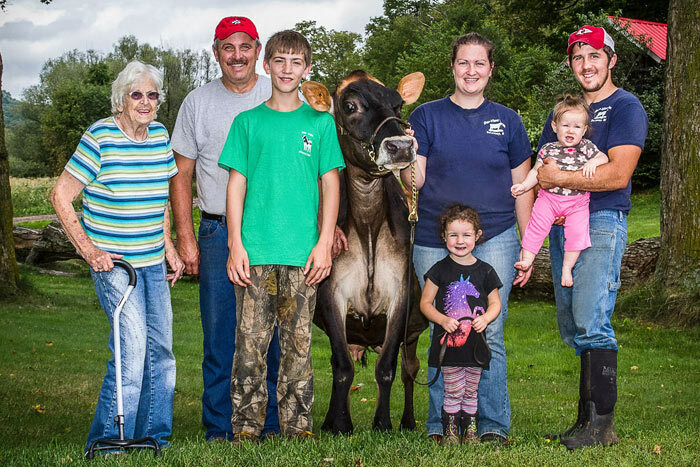 Upstate dairy farmers – over 100 miles away from the giant metropolis – have become watershed guardians, working hand-in-hand with their thirsty urban neighbours. How did this unusually cooperative partnership develop? More often than not, the relationship between cities and farmers is an unhappy colonial one. Beginning in the 1830s, with the urban population exploding, New York City leaders reached north and west to find rural environments that could provide pure, affordable water. They created a series of reservoirs and built an engineering marvel – a concrete pipe a Volkswagen can drive through, surging with millions of gallons of water per second by gravity alone. The water system was the envy of cities throughout the world that struggled with diseases like cholera and dirty, scarce water. By the 20th century, the sources were no longer so pristine. As industrialised agriculture began to undermine the economic vitality of the small family farms, the landscape changed. 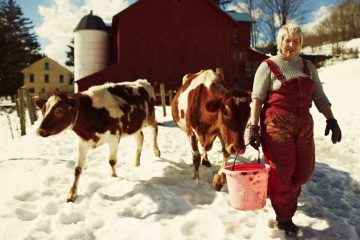 The upstream Catskill farmers, seeking desperately to remain economically viable, began industrialising their own farm operations. Nutrient use increased, dairy herds concentrated, erosion accelerated, and pathogens showed up in New York City’s water supply. City dwellers populated suburbs and second homes in the watershed and farmers sold off forested lots that had previously served as crucial natural filters. By the end of the 1980s, public health specialists and the US Environmental Protection Agency (EPA) determined that the city would need to increase treatment of its drinking water and regulators began to apply pressure. Until then, the source water quality had been so good that treatment had been relatively light. The costs for new treatment facilities were estimated to be over $US4 billion to build and $US200 million annually to operate, which would double the cost of water in New York City. The impacts on low-income families would be harsh. Management transitions are an opportune moment to initiate change. When then Mayor David Dinkins appointed Al Appleton as Commissioner of the New York City Department of Environmental Protection and Director of the New York City Water and Sewer system in early 1990, Commissioner Appleton stood at an interesting crossroads. He could deliver the bad news to an economically-strapped city administration that new ‘grey’ or ‘built’ infrastructure was needed to treat the water. Or he could propose a greener alternative – restoring the ecosystems to their natural filtration capability – knowing that it meant swimming against the current. That is, the American water industry and its regulators were dominated by a built environment engineering mentality to solve water quality problems. Appleton was different; his background was in management reform, public finance and environmental policy, in particular, land use. Because over two thirds of the land in the watershed was held privately, the City could not win the battle against contaminants by fencing off public lands. The city organised strict regulatory enforcement against non-point source pollution runoff from private farms. Field researchers discovered that a primary culprit was cattle excrement flowing freely into creeks. The city sanctioned them. This ‘big stick’ approach towards environmental protection angered some farmers and rural landowners. They resented the city for undermining their livelihoods without consultation. In a series of heated kitchen and community meetings, Appleton and his team took a pummeling and simply listened. To farmers struggling to remain afloat, water quality regulation is top-down imposition by urbanites who don’t understand the rural economy. His team returned to the drawing board. Appleton and his team sought out the New York State Department of Agriculture, which proposed a slower process of co-design. Farmer associations in the watershed were strong and the Department of Agriculture encouraged the city to work cooperatively with farmers rather than against them. From a clash of positions, the case became an example of interest-based bargaining. The city’s interests were affordable, clean water. 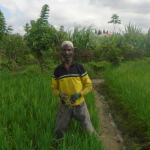 The farmers’ interests were sustainable, rural-based livelihoods. The negotiating task was to find the common ground. If you don’t want the city on your back, Appleton said to the farmers, design a programme that meets both your needs and ours. We don’t want to run a regulatory agency; we want clean water. If your programme can acheive that, we’ll embrace it. It took 18 months of back and forth, often tense, negotiation between the city and the Catskill farming community but, in the end an innovative and far-reaching agreement was crafted. With the city’s support, the Catskill farmers formed the Watershed Agricultural Council and created a programme called ‘Whole Farm Planning’, which incorporates environmental stewardship into each farm’s management strategy. 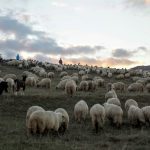 ‘Whole Farm’ farmers subscribe to a set of best management principles to mitigate pollution. Rather than a one size fits all approach mandating specific practices, a pollution control plan was developed for each participating farm, by the farmer and with technical support from agricultural experts from agencies such as the United States Department of Agriculture. Importantly, these plans often lightened laborious tasks like collecting cow manure and therefore helped the farm become more profitable. Pollution mitigation measures would be 100 % paid for by the New York City water authority – largely through urban consumers’ water bills. 75 to 80 % reduction in farm pollution loading. The pristine quality of the city’s drinking water was restored without spending billions on advanced water treatment. The clean water was generated at an affordable price. The programme more than paid for itself through cost savings and helped stabilise water and sewer rates, which, benefited low-income households. The fact that watershed conservation would be folded into consumers’ bills created a sustainable pool of conservation financing, far more stable than many of today’s popular NGO-led watershed funds. The programme proved popular with the public – and undoubtedly with the flora and fauna as well. It helped shore up urbanites’ support for additional watershed protection strategies, such as restoration of stream corridors and purchase and stewardship of city and state owned lands. Some of these forests and reservoirs have been opened to recreational use. The Watershed Agricultural Council launched a line of farm products under the label Pure Catskills, bringing urban consumers closer to rural growers. There are a range of products, some conventional and some organic; including grass-fed beef, vegetables and timber. All products must be grown in ways consistent with a healthy watershed. Concern for the watershed health has become so great that in 2014 the New York legislature banned fracking in the watershed, due in no small part to vocal urban water consumers protecting their water supply. it is often funded by NGOs seeking voluntary contributions and is vulnerable to budget shortfalls and programme interruptions. While the New York programme offered conservation easements (both payments and tax incentives) to farmers, the real practical and philosophical innovation in New York was not turning farmers into conservationists but rather helping them do what they know and what they do best – grow food and fibre. New York City needed a healthy working landscape. While environmental sustainability was required to meet New York’s water quality needs, the measures did not undercut the farms’ profitability. The programme is not a temporary fix. Support to upstate farmers, via the Watershed Agricultural Council is a core item in the New York City water system’s annual budget. According to Al Appleton, the programme captures, “the environmental profits from the services rural ecosystems provide urban areas and then funnels those profits back into the rural landscapes and the rural communities that provide them, creating a righteous cycle of mutually supportive economic and ecological investments between urban and rural areas, leading to a more sustainable future for both.” The programme demonstrates that water utilities can go beyond applying traditional engineering solutions and pioneer innovative governance, management and financial arrangements with upstream communities. The farmer-led Watershed Agricultural Council decides how to spend funds; the New York City water authority forms part of the board of directors, but with only one vote is much in the minority. The relevance of a whole farm payment for environmental services programme for global water supplies and rural landscapes cannot be overstated. 100,000 people a day now migrate to cities, many with insecure water systems. Rural landscapes are being transformed faster than at any time in history. Programmes like New York’s can stabilise rural land use and stewardship by strengthening urban support for farmers producing environmentally-friendly food and fibre. In addition, the New York City example offers lessons about resiliency in the age of climate change. Its water supply and watersheds were not compromised during Superstorm Sandy – a class four hurricane. Across the world, water operators, municipal governments, NGOs and rural communities have taken keen interest in the New York City example, despite obvious contextual differences and challenges in its adaptation. In the global south, water rates alone are unlikely to cover the full cost of a watershed recovery programme – the majority of water consumers are low income and cannot afford a rate increase. Weakened by relentless public spending cutbacks, public water utilities tend to be cash-strapped, often unable to even build proper sewage treatment facilities. Ministries of agriculture, forestry, mines and energy and public health, among others, are likewise financially challenged and reluctant to share costs of watershed restoration. Likewise, the political challenges to overcome fragmentation and contradiction among water and land use laws, jurisdictions and public programmes are formidable. Environmental NGOs will need to partner with government agencies to strengthen their capacity to steer water and land use planning. Development banks will need to provide low-interest financing for green infrastructure. Despite the difficulties the spirit of innovation is high. 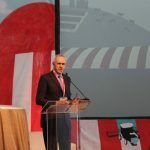 At a recent congress of the Association of Latin American Water and Sanitation Operators, the New York case – alongside Latin American examples – provided fertile ground for rich debate. Those examples included Bogotá and Quito, public water systems which have purchased and preserved sensitive lands high in the Andes where the cities’ water is sourced. Quito is home to a widely-admired watershed restoration trust fund, capitalised primarily through annual contributions from the municipal water utility, with private contributions as well. Lima has a small watershed fund, funded privately, whose resources are no match for the damage caused by the pollution from the booming upstream mining industry. Public water utilities aren’t in the business of cleaning up watersheds and most prefer to steer clear of upstream problems and chemically treat compromised water. Those that become involved know that they can’t solve the problems alone. Tactics vary; Des Moines, Iowa’s municipal water utility recently sued upstream farmers alleging excessive fertilizer run-off increased water treatment costs unsustainably. There is much learning underway. The UN Habitat-affiliated Water Operators Partnership for Latin America and the Caribbean supports a learning community among its affiliates interested in collaborating with upstream rural communities for watershed restoration. The American Water Works Association’s Source Water Collaborative is an important reference point. The optimistic view is that better practices will follow instructive examples. The New York case demonstrates that an integrated form of urban and rural planning can bring environmental and economic benefits to both landscapes. 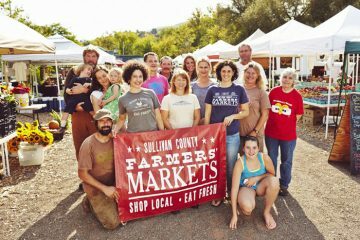 Those links are growing stronger within movements for local and agroecological food systems. The bumper sticker, ‘No Farmers, No Food’ speaks to urban–rural interdependence and cooperation. In fact, the relationship runs deeper, right down into the aquifer. Healthy farming produces healthy water. Here’s a modified message to consider: no farmers, no water. Daniel Moss has worked in community-based resource management in the US and Latin America for 30 years. He writes on water issues for journals and blogs and coordinates Our Water Commons. He recently published, ‘Urban Water Utilities and Upstream Communities Working Together’.